"A lively, polished account of the Trout Quintet ..."
"The ASMF players offer an appealingly limber, uptempo Trout, suffused with the spirit of the dance ... the partnership between keyboard and strings is close and selfless. 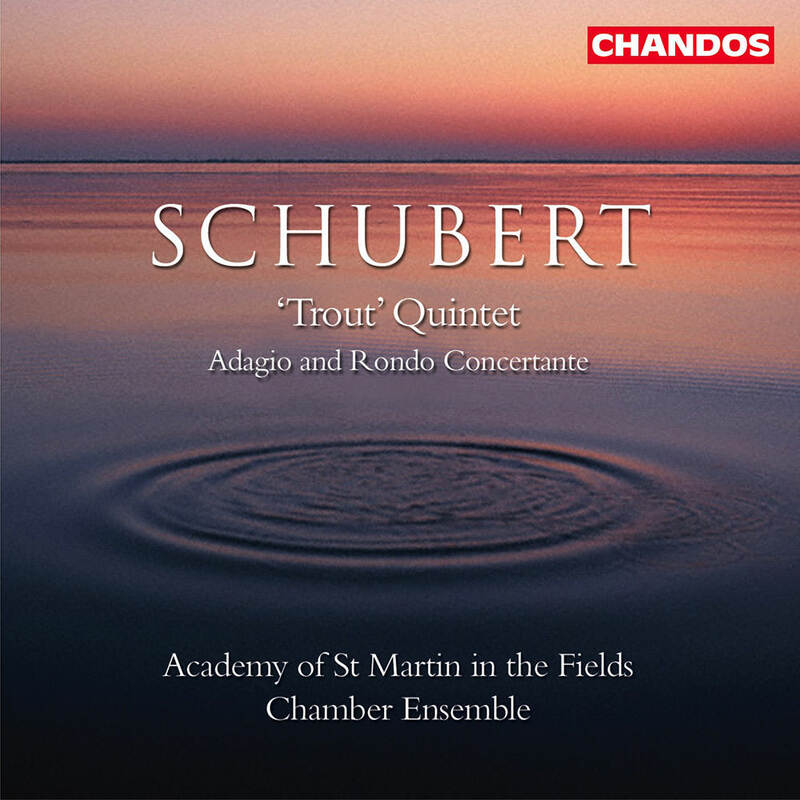 The recording balances intimacy and warmth ..."
Schubert's beloved Trout Quintet has been called one of the most popular pieces of chamber music ever composed, performed on this album by acclaimed English chamber ensemble the Academy of St Martin in the Fields. The ensemble performs fresh, brilliant interpretations of the world’s most loved classical music; with over 500 recordings to its credit, the Academy is one of the most recorded chamber orchestras in the world.